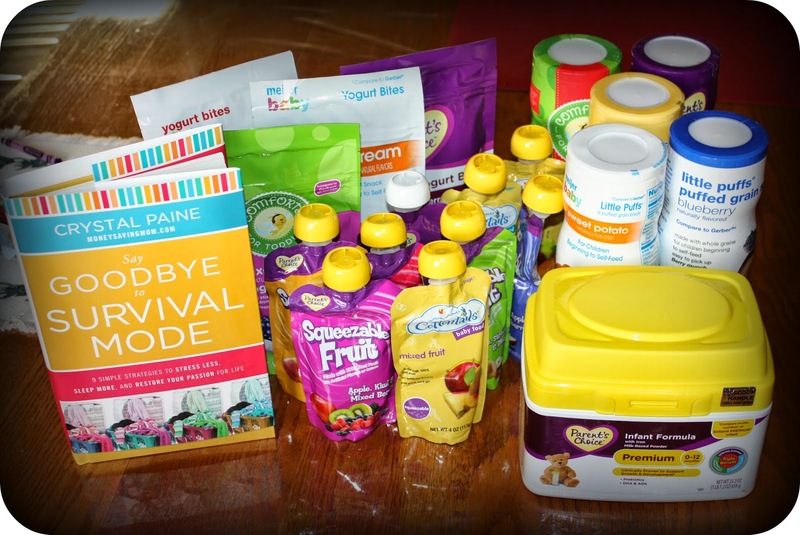 mommy's reviews: Perrigo Nutritionals Review & Prize Pack Giveaway! As you all well know by now, I am a very busy mom. As we keep adding children to the family, my time becomes more and more precious. Looking for shortcuts and ways to keep things moving along has become a goal of mine and trying to keep things within a good budget has also become important to me. One of the ways I have tried to save money is by purchasing more store brands and buying in bulk as well. Obviously, having three little picky eaters in the house is challenging but I find that if I give them plenty of snacking options, they can be a bit easier to please. I had never heard of Perrigo Nutritionals until recently and the biggest thing I learned about this company is that they are the largest supplier of store brand infant formula in the world and also, they are one of the largest manufacturers of nutrition products. Their main focus is on Pediatric Drinks, Toddler Foods and Vitamin/Mineral supplements. I never knew this company existed and never really thought about where store brands came from. I know some people are of the mindset that store brand is low quality (like my husband...ha ha!) but I have found that most store brand foods are totally comparable and just as good as name brands. I don't formula feed my babies but it is good to know that store brands are just as nutritional as name brand formula. 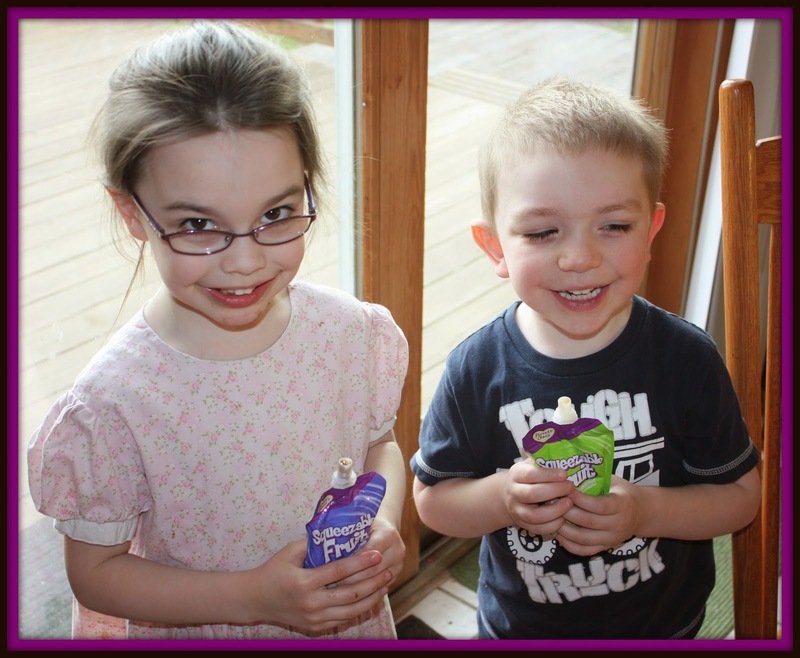 Around here, ALL of my children LOVE Puree Pouches. I have tried so many brands, flavors and textures through the years of raising toddlers and to this day, they all still love them! I have found that these pouches are perfect for car rides or if they need a snack before we run out the door to do errands. And yes...I have tried these pouches myself and they are honestly very yummy so I don't feel bad about giving them to my children. I was also sent Yogurt bites and those make pretty amazing snacks for little fingers too. What I love most about those is that they melt in baby's mouth so you don't have to worry about choking. That has always been my favorite "feature" of yogurt melts. If you are a mom, then you have probably been in said "survival mode" many times. I felt that way last week when my 5 year old was vomiting all day long and I was trying to keep my two boys occupied and happy. By the end of the day, I was exhausted mentally and physically and literally felt like I was in survival mode. Most days, it really can be that way! One section of this book that I loved was the Weekly and Monthly Cleaning Lists. I used to do this a year or so ago but got away from it for some reason. This is an EXCELLENT way to keep on top of housework without feeling scatter-brained and disorganized. Crystal lays out a plan for you to follow and it really is helpful to have some guidelines. Housework is a drag but having a schedule can really help you get through it efficiently and quickly. Another part of this book that I thoroughly appreciated was the part where Crystal talked about passing on good financial habits to our children. This seems to be a forgotten part of parenting these days and is so vitally important to raising financially wise children. My parents were very vigilant about teaching my siblings and I about money, it was always a part of our upbringing. It was so very refreshing to read about this seemingly lost concept in this book. Very good read indeed. Personally, I loved this book and the author's approach to keeping things simple for us busy moms. This book retails for $12 as an eBook, available for purchase here. So, I really love all of these baby snack products I was sent and cannot wait for our new baby to be ready for some of these things! Be sure you check out the store brand products that are on your local grocery shelves...you may be pleasantly surprised at how reasonably priced these products are and how nutritious they can be for your little ones, thanks to Perrigo! Disclaimer: I received no monetary compensation for this post.The Perrigo Nutritionals product, information and two gift packs have been provided by Perrigo Nutritionals. All quotes and stock photos are from the Perrigo Nutritionals. websites and email. Prize is being provided by the sponsor. This blog is not responsible for lost, damaged or stolen prizes. All thoughts and opinions are 100% mine. Pretzels and cereal are a favorite snack for my kids. My kids love edamame. Great for them and fun to eat. Their favorite snack is YumEarth Snacks. My kids always love yogurt! My son loves apple slices. My kids love the fishes because their so delicious. They both love bananas and apples.